Water Towers Get A Face Lift! 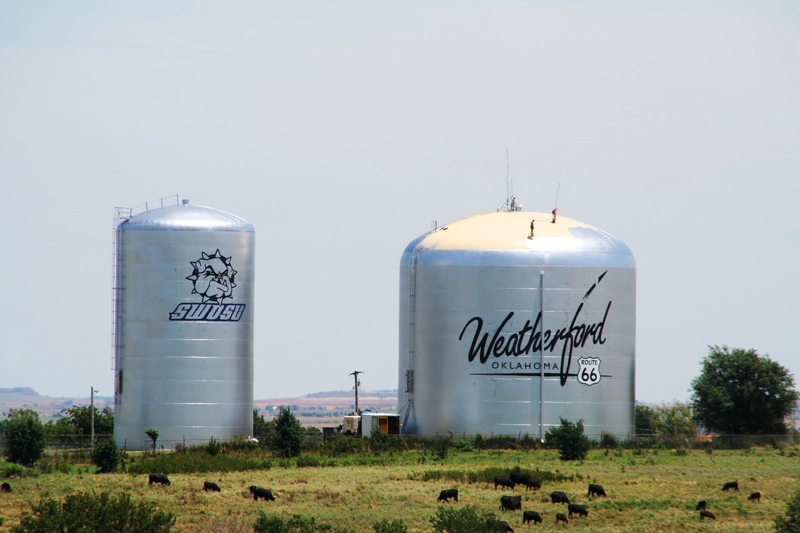 The city water towers are in the process of getting a face lift. 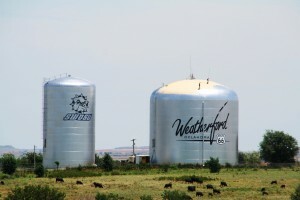 The north tower has been painted with a fresh SWOSU and Bulldog logo, the larger south tower is sporting the new Weatherford logo.